Xavi SOSThe best Passer in the WORLD! Xavi doesn’t think that someone who turned his back on Barcelona during his teenage and joined some other club should be allowed to make his way back into the set-up of the Spanish giants ever again. It’s being rumoured at the moment that Barcelona is after Hector Bellerin who came to their academy as a kid in 2003 and spent 8 years there before taking an offer from Arsenal to be a part of their youth squad. Xavi Hernandez, FC Barcelona legend has said that he believes that if allowed to participate in competitions held by the FIFA, the current Catalonian International football team would be one of the top 10 teams in the world. With Catalonia getting ready to hold a referendum in September 2017 regarding its independence, Xavi believes that there are a lot of exceptionally talented players in the team. He is also holds the view that with such players, they can go on to become a world-class team. So far, Xavi has represented Catalonia 12 times throughout his playing career. However, the 36-year old did not rule out the possibility of managing the team in the nearest future. “You never know. You can never close any door. It’s very early to start making predictions but it’s one of the ideas, coming home to coach in Barcelona, in Catalonia. It’s my home and I feel very comfortable there. Xavi Hernandez says that Manchester United manager Jose Mourinho should try to avoid confrontation when things are not going well for him. Mourinho has a reputation of falling out with opposition managers and the football Association on numerous occasions. Xavi, though, has seen a trend where the Portuguese goes on a rampage only when things are not going well for him. It is exactly the scenario at Manchester United right now. The Red Devils are clearly falling out of the title race and Mourinho has been unable to prevent the slide. He has already been caught up with two FA charges in the last two weeks. Manchester City continued their brilliant form in the new campaign under Pep Guardiola as they defeated West Ham to get maximum points over the weekend. The win ensures the have nine points, as with Manchester United and Chelsea. The victory sets up an interesting encounter with United in the Manchester derby after the international break. From the start of game against West Ham, Man City showed their superiority, with nice one touch passes, and good ball control. Within the first twenty minutes, the top level of play yielded two goals, almost sealing the game off. An improved showing from Raheem sterling was a sight to behold, compared to his games last season and at the Euro 2016. He got a goal, and Fernandinho added the second for the Sky Blues. West Ham manager Slaven Bilic was confused at the dominance of City, but was helpless. The difference in the games of City since the appointment of Guardiola is obvious. He supervised the tiki-taka style of play in Barcelona, with veteran midfielder Xavi, Iniesta taking the play to another level. Expectations were high with the employment of Guardiola, and so far, the Spaniard has shown his quality. 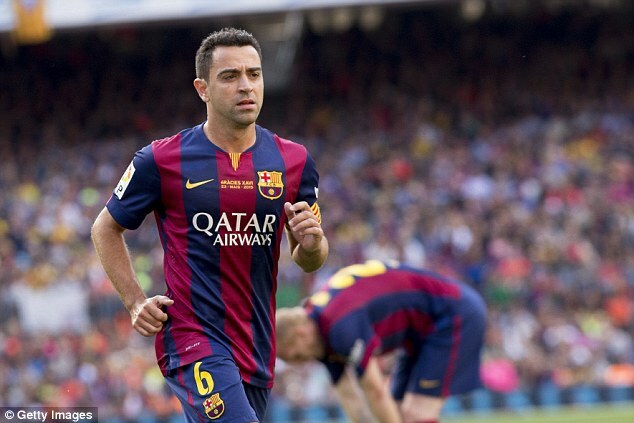 Former Barcelona star, Xavi Hernandez in an interview made some startling confessions. The Spanish star midfielder and Barcelona legend when interviewed said he played against the best in the World. He named French and Real Madrid legend, Zinedine Zidane popularly called Zizou and Brazilian play maker, Ronaldo Delima as his best competitors. Xavi spent close to 17 years at the Camp Nou before exiting in the 2014/2015 campaign after a highly successful spell. In his final season, Barcelona achieved yet another treble. Upon sharing this much, the interviewer pressed for his best memory of his long span career whilst in acton for the Catalan giants. 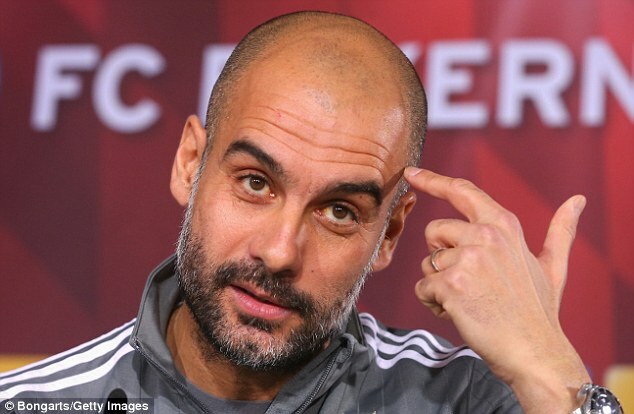 Guardiola has dropped hints that he would not stretch his tenure in Germany where he has been in charge of Bayern Munich for the last two and half years. The Spaniard is likely to sign for one of the top clubs in England at the end of the ongoing season. Very few would know Guardiola better than Xavi as the two spent a number of years working together. Xavi played alongside as well under Guardiola at Barcelona. Aaron Ramsey is confident that his teammate Theo Walcott can reach the 100 goals mark and that he can accomplish this in the new season of the Premier League. “He is a goal scorer. He has a load of goals for Arsenal and I think he can carry that on and maybe get into the 100 club this year. He’s a very strong character. He believes in his abilities and he definitely has a lot of qualities to offer.One of the hardest things to do in football is to put the ball in the back of the net and he’s done it on numerous occasions for Arsenal’’ Aaron Ramsey said as he praised Theo Walcott. Walcott has scored 76 goals in 306 appearances for Arsenal which means that the English player will have to score at least 24 goals in the 2015-15 season of the Premier League which kicked off a few weeks ago.